Crochet Pattern for the Boston Terrier Scarf. 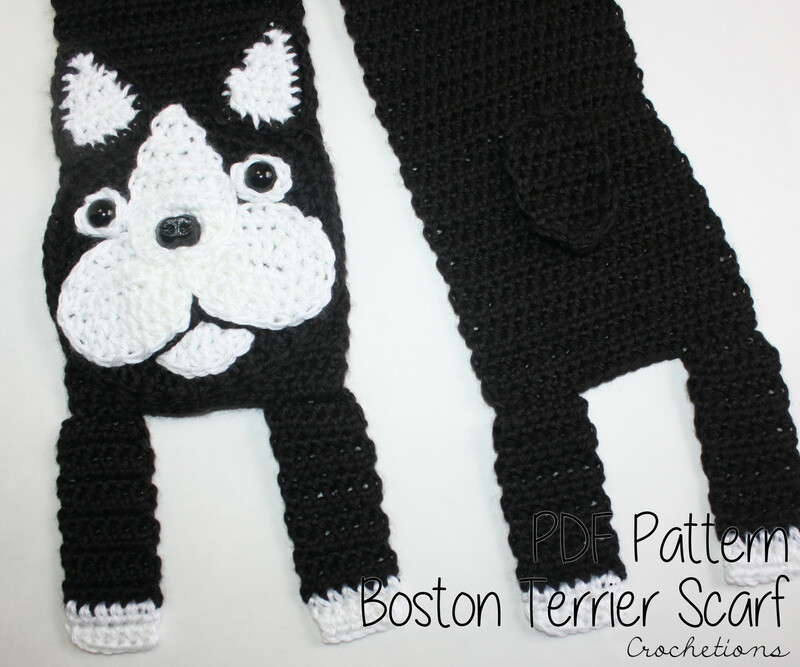 This listing is for the PATTERN ONLY for the Boston Terrier Scarf. Not the finished product. This scarf was designed to resemble the popular and adorable dog breed, Boston Terrier. *There is no shipping charge as this pattern is in PDF format and a digital download. It will be delivered within 24 hours of payment. Contact me if it has not been received in that time.